dance.net - Gorgeous Red Gavin Doherty (10241104) - Read article: Ballet, Jazz, Modern, Hip Hop, Tap, Irish, Disco, Twirling, Cheer: Photos, Chat, Games, Jobs, Events! 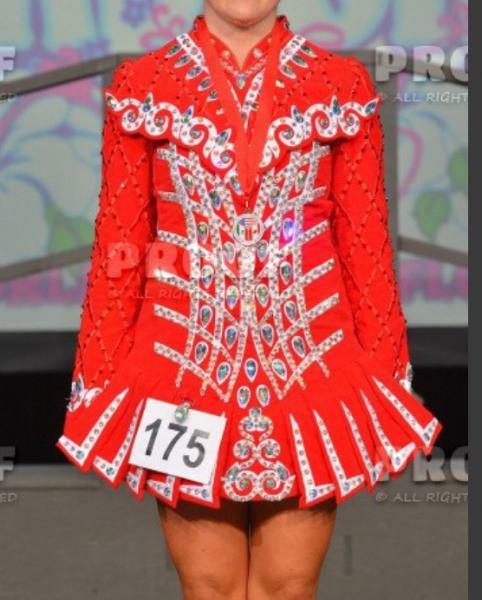 Extremely striking and timeless Gavin Doherty worn by open champ dancer. Has been worn only for WRO 2015, NAFC 2016, and NANS 2016. Covered in hundreds of dollars worth of Swarovski crystals. Comes with fabric embroidered headband and red kickpants. Dress has two ties in bodice to make waist more flattering. Dress is gorgeous on stage and has received numerous compliments. Dress has let out room. Email lwaldman@asu.edu for questions or pictures. Asking $1450 shipping extra. Dress is located in California. 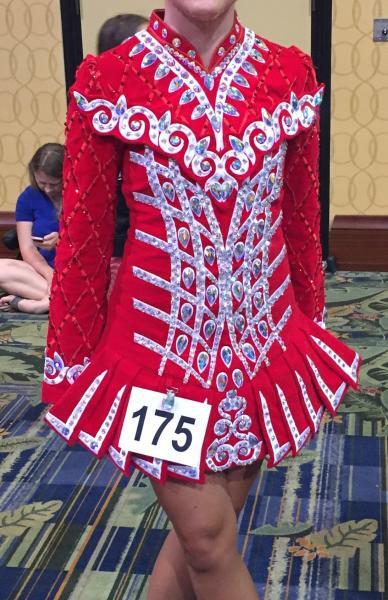 Worn by petite U20 dancer.